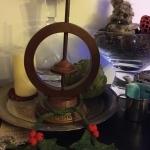 The holidays always sneak up on me despite the ample reminders from shops who start stocking their shelves with Christmas Fayre in September. 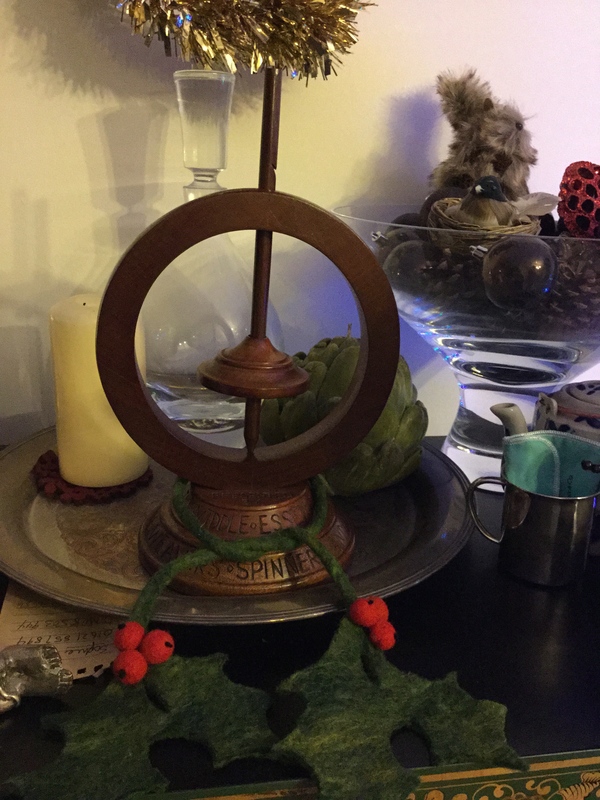 My guild–The Mid-Essex Guild of Weavers, Spinners & Dyers–gave us two months’ warning (maybe more) about this Christmas ornament competition for the December meeting. 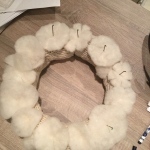 Still I put the finishing touches on my entry–the White Christmas wreath–in the car before bringing it in to the hall. The White Christmas wreath is made from materials that anyone who does sewing, knitting and spinning will probably have around the house–felt, buttons, a couple of beads, yarn, stuffing (wool or acrylic) and maybe a pipe cleaner or two if you’re feeling extravagant. Like so many of my other projects I’d mapped out the what and how mentally. The first step was making some felt for the leaves and flowers. I used the wet felt method described in Complete Feltmaking by Gillian Harris. 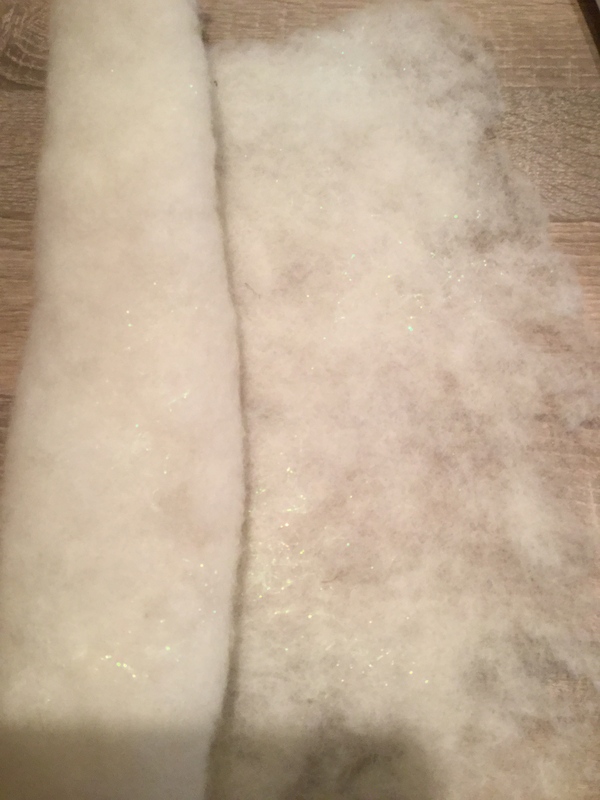 I used some white fleece I had to hand and some white iridescent angelica fiber. The felt I made was on the thin side and I did needle felt it in places to reinforce. Making the felt was the most time consuming part of the project. 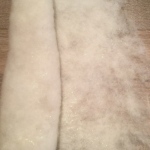 felt–made from llanwenog fleece and angelina fiber. 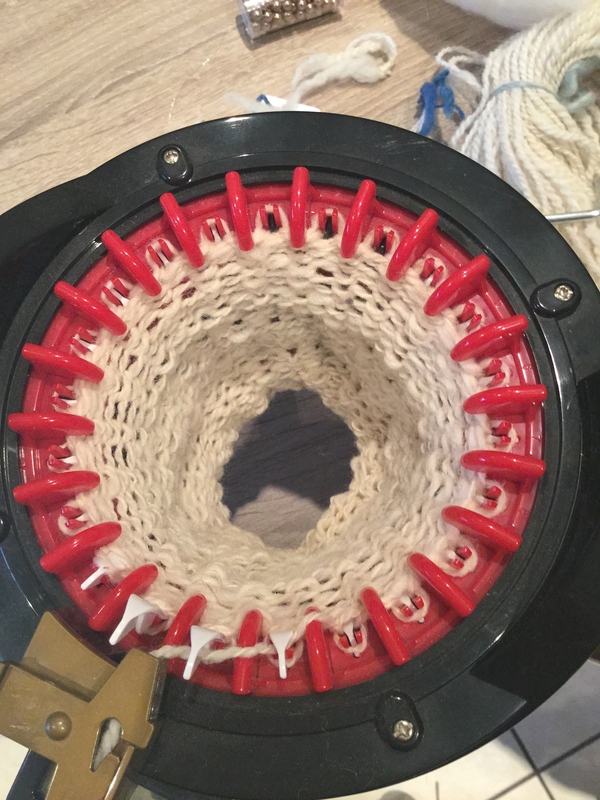 The next step was to make a knitted tube that would act as the base. 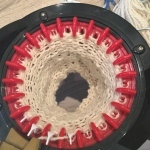 I used my Addi circular knitting machine and some white handspun yarn. Using the machine knitting the tube took about five minutes. 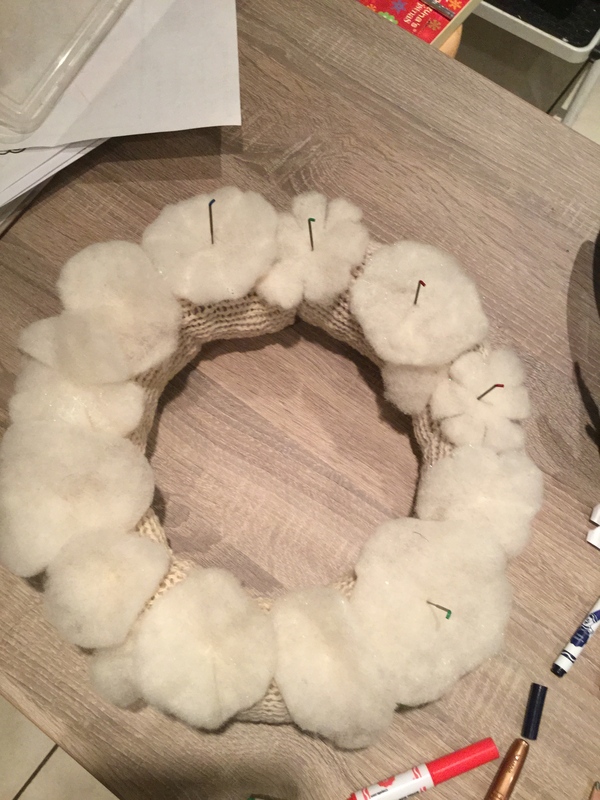 I then stuffed the tube with so neppy bits of wool I have in abundance–meaning the bits of wool left over from the combing/carding process. I sewed the ends together, et voila, a ring. Flowers and embellishments came next. As you can see from the photo I’ve opted for flowers and leaves which I cut freehand. I’ve sewed and glued on buttons and needle felted leaves and flowers into place. 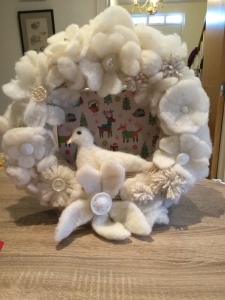 Lastly in a fit of inspiration I needle felted a dove to nestle above the poinsettia-shaped flower. Oh, and I won the competition! First trophy I’ve ever won for anything! Thank you!! We’re glad you like it.